AMMONNEWS - The Arab League said the Syrian crisis is on the agenda for its upcoming summit in Tunisia, but Syria's participation is not on the table. "It is possible to add a new item on the agenda for the Golan Heights issue based on recent developments," said Spokesperson for the Secretary General of the league, Mahmoud Afifi in a statement Sunday. Items on the agenda at the Arab summit include the Palestinian cause, the situation in Libya and Yemen, supporting peace and development in Sudan, Iranian intervention in Arab affairs and occupation of UAE islands, Turkish incursion in northern Iraq, supporting Somalia, and combating terrorism. At the summit, the economic and social council will discuss several matters, including following up on the resolutions of the Arab economic summit in Beirut. 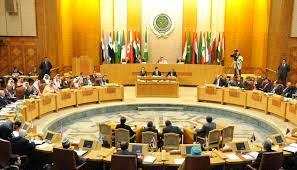 The Secretary General of the Arab league will present a report on the implementation of the resolutions of the Arab summit in Dhahran.